Finally, more of an essential and a god-sent for anyone who struggles with sweating or finding a good deodorant. 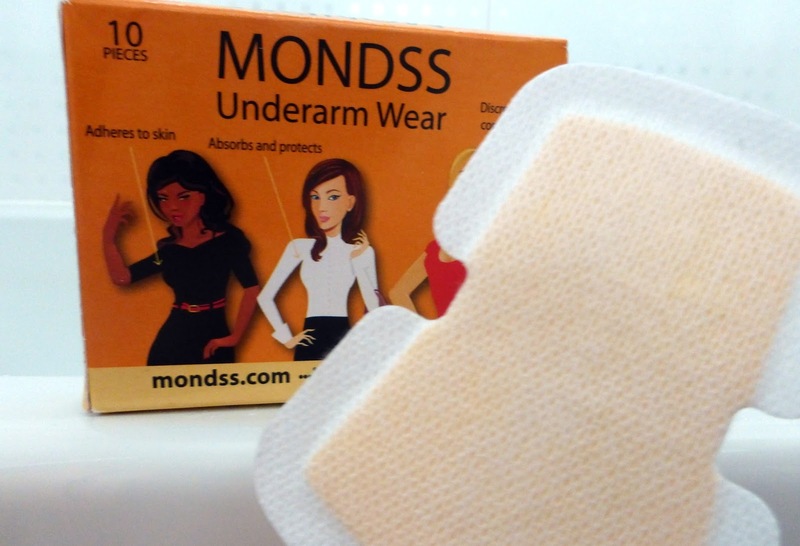 Mondss* are the ultimate fix for anything to do with underarms and sweating. If you’re a person who worries about sweat marks or staining clothes then not only are they virtually undetectable, they also absorb sweat and bad odours. You can wear them pretty much everywhere as they just stick on. It feels a little strange at first but soon you can’t notice it at all. It absorbs an impressive amount of water as I tested it out with a water bottle and I was blown away at how absorbent these pads are. They’re discrete and comfortable making it the perfect solution to underarm perspiration. Mondss are £7.94 for a pack of 10 and wouldn’t need to be changed all day long unless you have a lot of perspiration. Although I wouldn’t recommend sticking them onto any hairs as that can hurt a little, but these hygienic pads are definitely something to try out!